The Derek Rose striped boxer shorts are made using 100% cotton with a panel seat construction for extra comfort. Made using a mid-weight cotton these boxers are ideal for year-round wear,perfect for enhancing your underwear drawer. 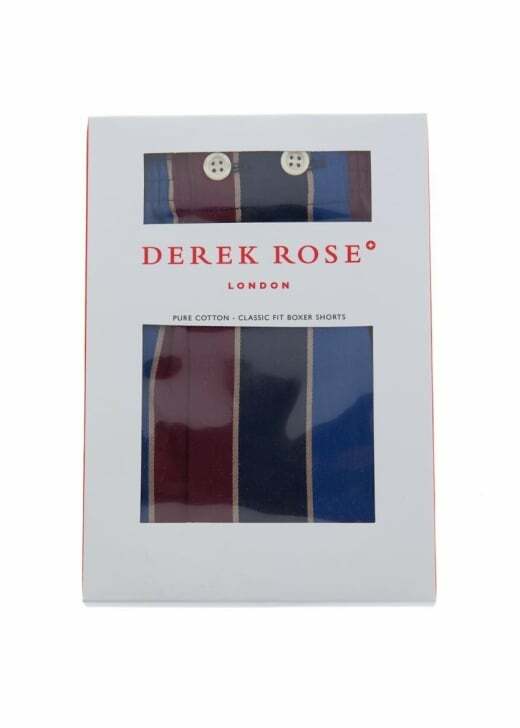 Derek Rose originally started making boxer shorts using leftover pyjama cloth as they wanted to keep the same level of quality in both their pyjamas and boxer shorts.